People are just starting to grasp why deflation is also present in the USA. Despite all the screaming about Quantitative Easing, most remain confused why hyperinflation has not taken place. Most are Oblivious to the fact that there is a dynamic process involved that is a lot more complex than traditional economics teaches in school. Sorry, but the quantity of money theory does not work. It is way too simplistic and this has led to massive confusion. Even the central bankers are starting to call with questions. Economics is just not as it seems and it has ignored international capital flows confining all analysis to purely domestic situations. The latest news that Amazon was buying Whole Foods saw a plunge in retail and grocery stocks. Amazon put book stores on the list of bankruptcy victims and we see similar troubles for Sears, the company that made its name using the railroads to deliver goods by mail order – the internet of the 19th century. The deflationary tone has been in place since 2015.75 and it is a combination of problems, one of which is the technology advancement. Many people see the advance of robots displacing jobs. However, the reason unemployment rose dramatically to 25% during the Great Depression was not from the collapse of industry. 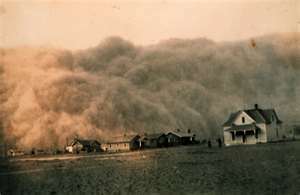 It was (1) the advancement of technology with the combustion engine that wiped out agricultural jobs (aside from the horse industry) and (2) the vast dust bowl which then wiped out farms entirely. Waterloo Boy N improved, November 1920. In 1888, the first steam tractors appeared on American farms. 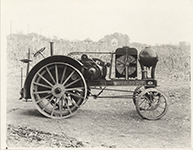 John Froelich of Iowa built and sold the first two successful gasoline tractors in 1892. It was the Hart Parr Gasoline Engine Company of Charles City, Iowa, who first coined the term “Tractor” in 1903. 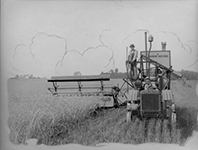 More than 100 companies began to manufacture tractors between just 1916 to 1922. John Deere bought out the Waterloo Gasoline Engine Company in 1918 becoming dominant in the field and then by 1927. The Amazon takeover of Whole Foods is highlighting this technology shift. The jobs of the future will be more in the technology programming area. All the office spaces I looked at for moving our office were, without exception, law firms closing down. Lawyers are now far too common and we are seeing their saturation reducing the once high paying jobs that enticed kids into law school. Both law and medicine are in their downward slopes of the business cycle. Cyclically, everything evolves. Retail stores are declining and Amazon has been opening showrooms rather than stores. You get to go touch the product and it will be delivered to your home. They are also bringing in fully automated stores. You will have an app on your phone, walk into a store, take whatever you want, and your card will be billed as you walk out the door. There go the store clerks. Things are changing rapidly. The high cost of labor because of Obamacare has been destroying a lot of jobs. The first thing your accountant tells you is not to hire employee number 26. Technology is helping to reduce the high cost of labor, which is being driven up because of taxes and healthcare which the employee never sees. Improving your skills for the future is absolutely paramount to survive. Look to technology in engineering and programming to be the top fields into the future. 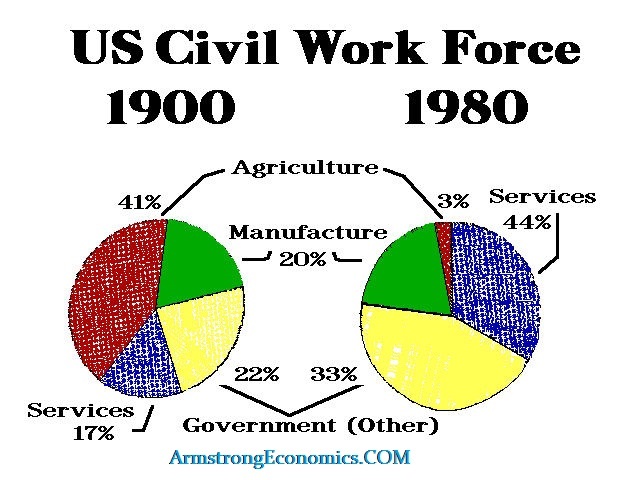 For now, as the cost of labor declines, this results in deflation the same as took place during the 1930s thanks domestically to the technology advances in agriculture since that accounted for 40% of the civil work force in 1900 and then it was hammered by the Dust Bowl.